[These Wild Plains] is kind of a reminder of something that used to be, that isn’t there anymore. Boston’s These Wild Plains sound like the past moving into the future: With their southern/country rock-inspired music and a distinctly nostalgic twist in their lyrics, the New England band doesn’t exactly have a “New England” sound – and that’s exactly what sets them apart from all the rest. 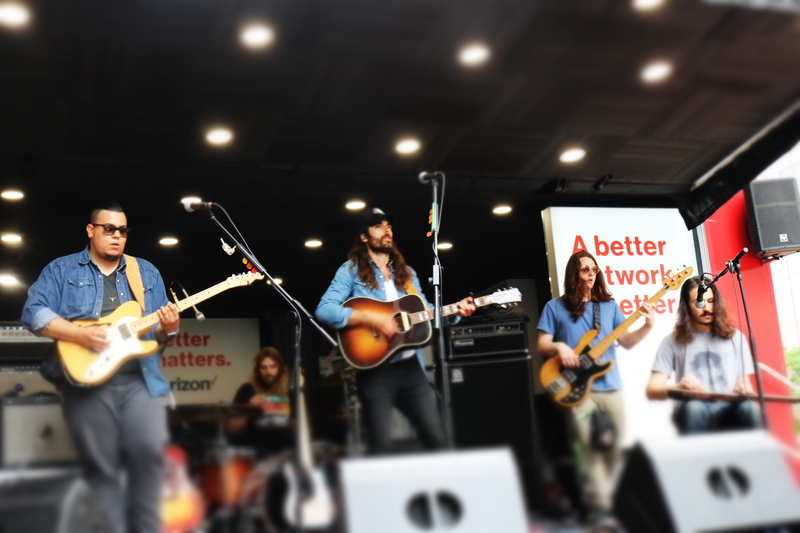 Consisting of Ryan Bambery, Ben Voskeritchian, Nick Mercado, and Rob Motes, These Wild Plains is one of four local Boston-based bands who played Boston Calling Music Festival, Boston’s biggest music festival, this May. 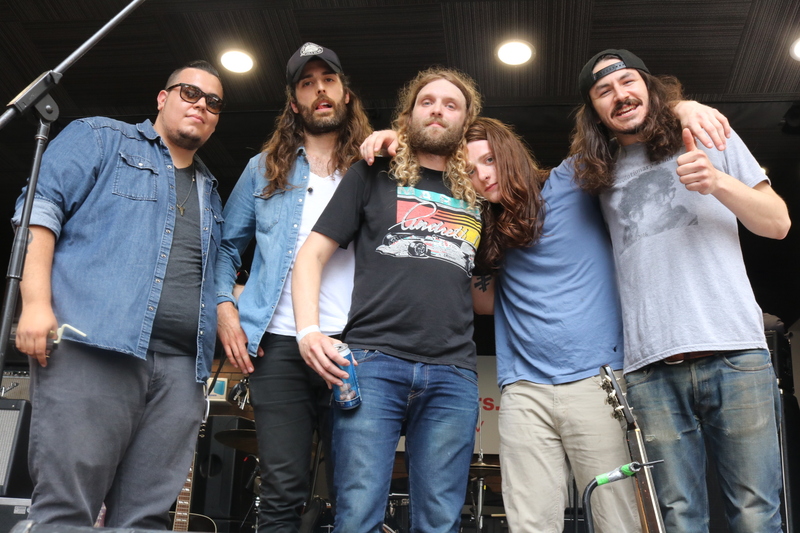 That’s a pretty big deal for a group that’s been together for three years: “This is the icing on the top; it feels like Boston has finally accepted us as a Boston band,” says vocalist/guitarist Ryan Bambery. “We always said coming up that we want to be the band from Boston that goes and plays elsewhere.” Every year, in addition to the critically-acclaimed acts Boston Calling books from across the world (May’s lineup included Sia, Sufjan Stevens, Haim and Disclosure), the festival hosts local talent, thereby retaining some semblance a connection to its roots. For These Wild Plains, the invitation to perform is a recognition of their art and their home. It’s also the perfect moment to springboard the band, introducing them to a larger audience. Ain’t it about time you set me free? A song about letting go of love, “Old Reasons” is raw, but contained: The first single off the band’s upcoming sophomore album Distant Ways (out 7/22 independently), “Old Reasons” is the perfect introduction to These Wild Plains. It’s heartfelt (but not whiny), twangy (but not gritty), rocking (but not heavy). The band’s mix of backgrounds combine fluidly to create a warm rock vibe that lifts the spirit and touches the soul. Guitarist/vocalist Ben Voskeritchian recognizes distinct influences in ‘American Rock & Roll,’ but doesn’t place too much weight on them. “You find a direction and get a little more engrained in that,” he says of the band’s growth over time. “We call upon our influences and inspirations, but I think we still make it our own.” Developing a distinct musical ID is one of those dream goals to which every artist aspires, and These Wild Plains are coming into their own quite nicely. Distant Ways will be the follow-up to the band’s self-titled debut album, which came out in September 2015 after a series of promotional singles releases. 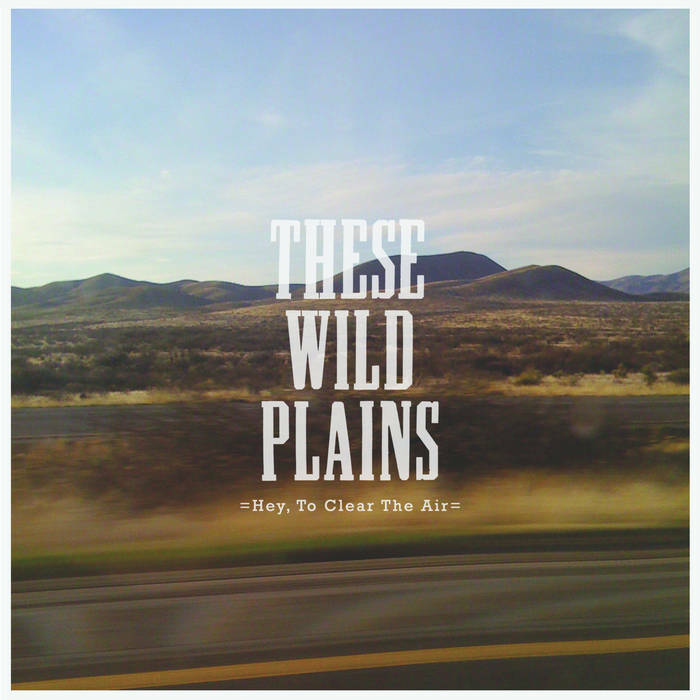 Album opener “Hey, to Clear the Air” captures These Wild Plains’ laid-back, forward-moving mentality: It pushes and pulls with the weight of Nick Mercado’s aching lead guitar and Voskeritchian’s longing vocals. 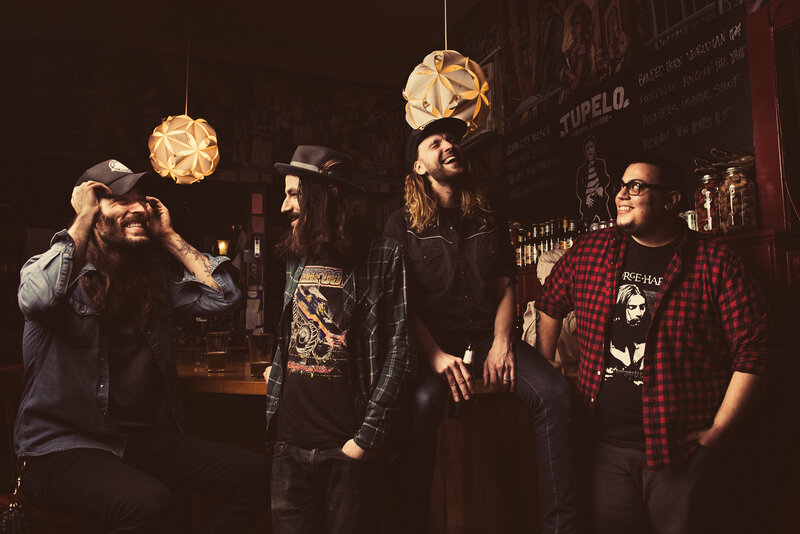 There’s a lot to love about These Wild Plains: The Boston band brings a warm Nashville-like sound to the diverse New England scene, creating an easy listening experience for all to sink their ears and their hearts into. Get to know These Wild Plains through our interview with them at Boston Calling, and look out for Distant Ways, out July 22! Atwood Magazine: So we're here with These Wild Plains, who are about to play their Boston Calling set on the third stage. You guys excited? 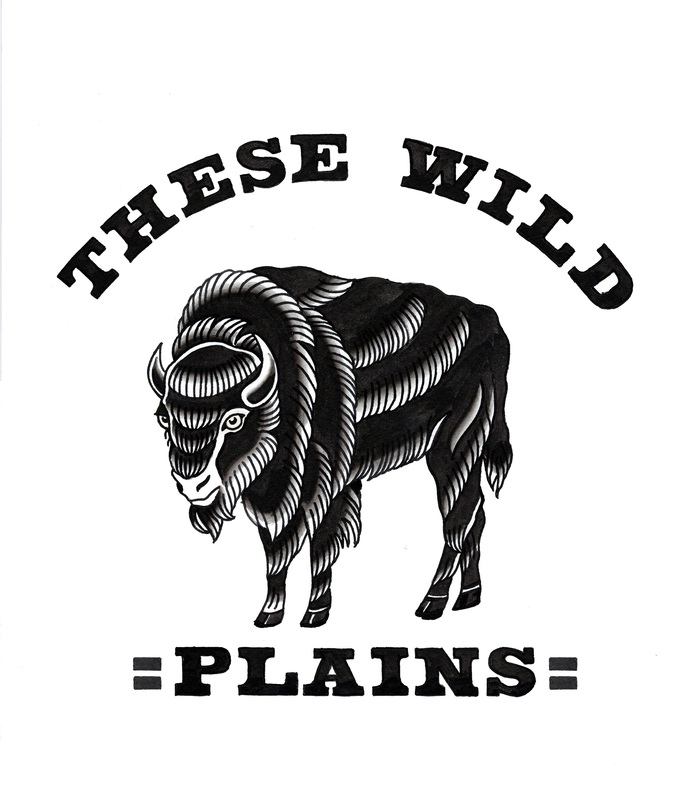 These Wild Plains: Yes! Very. You guys are from Boston, right? Ryan Bambery: Mmhm. Nick and I grew up in Braintree, Ben’s not from Boston – he’s from Richmond, Virginia. And then Rob, our drummer – who’s home watching the Indy Race right now is from Albuqurque, New Mexico. You think he's gonna get here in time? These Wild Plains: Oh, we hope so. As long as he’s not taking the train. He’d better get here – he’s got a big jar of moonshine for us! Is that what he plays on - the jar of moonshine? Changes the timbre as the show goes on? These Wild Plains: [laughs] absolutely, as the drink goes down, yeah. What is the band's tie to Boston? How long have you been together? Ryan: Nick wanted to play piano when he first joined. We ran into each other at a Ben Kweller show, and he was like, “I heard you started a new band!” I was like, yeah, yeah. He was like, “Man I’m trying to play keys in a band,” but I knew him – I knew he played guitar! And now he’s our lead player. I really like your band's sound - there's this singer/songwritery, light folk influence to the rock music. It's airy - my friend said it reminded him of a light Pearl Jam song (“Nowhere Man” or something). Ryan: We’re pretty angry people, but we try not to scream on tape. Nick Mercado: [laughs] I mean, it’s all of our influences together coming out. I like Pearl Jam – I don’t care who knows it! That’s where my guitar playing comes from, probably. You can hear the guitar wail in that sound. 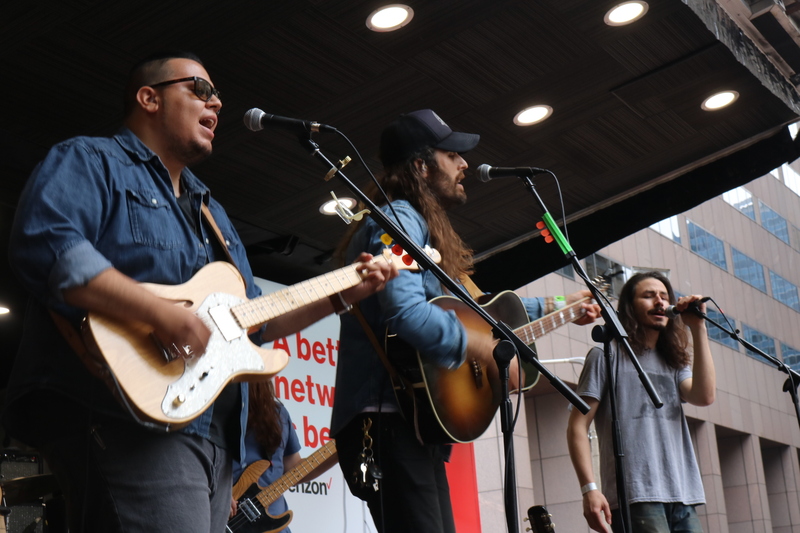 As a Boston-based band, what does playing this Boston Calling show mean to you? These Wild Plains: We’ve been to these a couple times for a while – it’s always cool that Boston even has a music festival now, because growing up here we didn’t! And so now to be a part of it is actually a pretty big deal. It feels like these past few months especially, but this is the icing on the top; it feels like Boston has finally accepted us as a “Boston band.” We always said coming up that we want to be the band from Boston that goes and plays elsewhere. It’s pretty crowded in the Boston music scene, so it feels now like Boston has welcomed us with open arms. It feels good! Did you guys come from other bands before this? Ben: We all played in other Boston bands at various levels. Our drummer has been touring internationally for years with a bunch of other bands in different styles of music. It just settled into a nice little thing that we’ve got here. There's definitely a big jealous component to it - I feel that way, too, every time I see a band perform. It's like that itch - you want to play, you want to be there. Ben: Even right now – I like listening to music all day, it’s great and all – but I just want to play! That’s what we want to do. We get thirty minutes, and those are the best thirty minutes of the day. Interviews are fun, meeting everybody is great – it’s all awesome – but the thirty minutes we get to play, that’s my favorite part of the day. That’s all I want to do. What is it about getting onstage here? What's the goal - what do you want to get out of this one? These Wild Plains: Crowd reaction. We want to get the crowd as involved as possible. The big dance move in Boston is to stand with your arms folded; I’m pretty good at this dance move myself. If we can get people into it – moving and clapping, and whatnot. Just getting them involved! There's a bit of a challenge when you're playing the third stage. These Wild Plains: It’s tucked away and it’s off to the corner, but there’s a good crowd over there right now for all the comedians… We’re not very funny, you know; looks aren’t everything, so we’re going to rely on our songs and hopefully we win ’em over with that. We’ll see. For someone who is just getting introduced to These Wild Plains, what of your songs speak the most to you? Ryan: I think “Hey, to Clear the Air” off our debut record. I think that’s one of the best culminations of our sound – it’s got a little bit of everything. That kind of sums us up in one song, if we had to pick one. Ben: I think what I’m really excited about is that we have a new record coming out on July 22nd. It’s called Distant Ways – this record is, as a whole, I think what we’re going for. It’s a more fluid version of us because we’ve been able to play as a band longer, we had more experience recording together, writing songs together, and just being on the road… We stay on the road as much as we can, and I just can’t wait for that to come out, and for people to hear that. “Old Reasons” is the single we have out for that record right now; Ryan wrote that one with a good friend, Nick Santino. He brought us a demo, and we were like, “Yeah, let’s do this!” and we turned it into a These Wild Plains song. But I think that that’s a good preview for what people can expect from this new record. Your first album came out only last year, right? Ben: So we had an idea of slowly releasing only a few songs at a time. Being a small, young band, what’s the point of… How many times have you seen a band post eight times about the same record that came out eight months ago – what else ya got? So we had the idea to put out a few songs at a time, so we did that over the year and toward the end of the year, like in September 2015 we put the whole thing out. And how much work was that the culmination of? These Wild Plains: A year’s worth of recording. We were sitting on the songs! We sat on the record. We were just putting out three songs every three months or so. So those songs that people here now are from at least two years ago, really. These Wild Plains: Yeah! Some of them even earlier. How has These Wild Plains developed and grown over that time? Who are you now, compared to who you were two years ago? Ben: I think we’re more confident frontmen, we’re more confident in our playing. You find a direction and get a little more engrained in that. We call upon our influences and inspirations, but I think we still make it our own. You were saying earlier, this Pearl Jam thing – I don’t think I’ve even told my band ever that Pearl Jam is the reason that I started playing music in the first place! I’m a bass player, and Jeff Ament was the reason I picked up an instrument in the first place. But I was raised on Jackson Browne, James Taylor, The Beatles, and The Band, because of my dad! So that’s the acoustic part of me. I think we”ve figured out more of what we want. We’re more confident players. What has been one of your best experiences so far, as a band? These Wild Plains: Going out and playing Stagecoach Festival in California was one of the best music experiences I’ve ever had. We played amongst some legends, and just the sights, the sounds – everything was cool out there. We’ve got a nice, blustery day in Boston today, and it’s only a few weeks ago that we were out in the desert, soaking up the sun and living the high life. So you've got a new record out in July. What's the goal for the band, for this year? These Wild Plains: Tour – stay on the road! The closer we are to it… We hope to play some of those other big festivals this year, too. What song are you really excited to bring to everybody today? 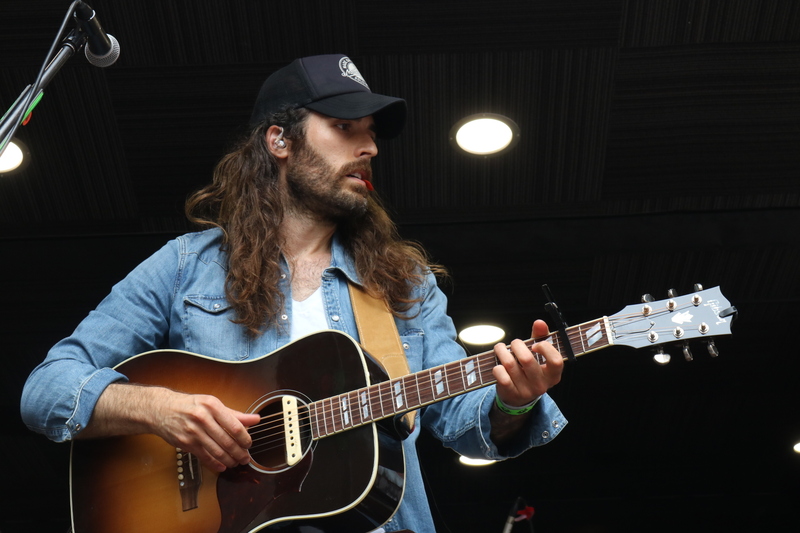 Ryan: We’ve got one song called “Better Leave” off the new record that I love singing. Any time that comes up in the set list, I have my moment of inner joy. Ryan: It means a lot – it’s based on a true story, and being able to share it and get that instant response from the crowd when it’s over… You know, I think that’s why we do this in the first place. Is the record a portrayal of your live performance, or is it vice versa? These Wild Plains: This new record is. It’s a lot more raw; we were trying to capture more of our live sound without actually recording live. We worked with a new producer and engineer, who also has been playing bass for us – Chaimes Parker – he’s a bit of a studio wizard. We have the fortune of him playing in our live band, so he knows our live sound and he’s able to translate that onto a record. It's so difficult to capture that spirit. Ryan: It is – it’s lightening in a bottle. Ryan: It’s kind of where we’re at as a band right now, that’ll sum it up – that song, where we’re able to throw something together. It was last minute, too – it was one of our last days in the studio, and we ended up naming the record after it. The song stands out from the rest of the songs on the record, too, because it is so raw and it’s basically a demo that we just tacked on to the end, but it’s got some majesty in its own right. These Wild Plains - What does the name come from? Ryan: [laughs] Ben and I were drunk! We were writing songs and we had a whole group of songs and a show booked, and we didn’t really have a name. There was a Where the Wild Things Are book, so “Wild” came up, and we were talking about how our sound kind of had this rugged, plains-y feel, like it was concocted out of the plains of the Mid-West. But if you think about it, ‘wild plains’ don’t exist anymore; it’s all been paved over, it’s all a Walmart parking lot now, or whatever. A lot of people say our songs are refreshing, and it reminds them of classic rock – so it’s kind of a reminder of something that used to be, that isn’t there anymore. Or you could look at it as we’re wildly plain dudes – that works, too.